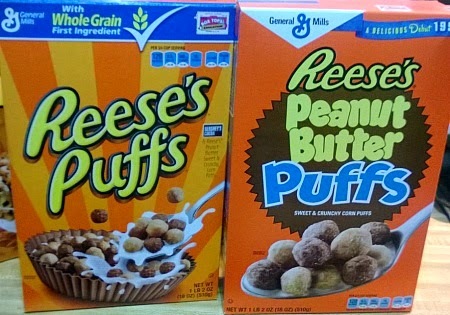 General Mills cereal boxes are showing their debut look. I never knew when each cereal came out. This was neat and my son was excited about it too. Cereal is such an easy and quick breakfast or snack. We like to add strawberries to our bowl of Cheerios. 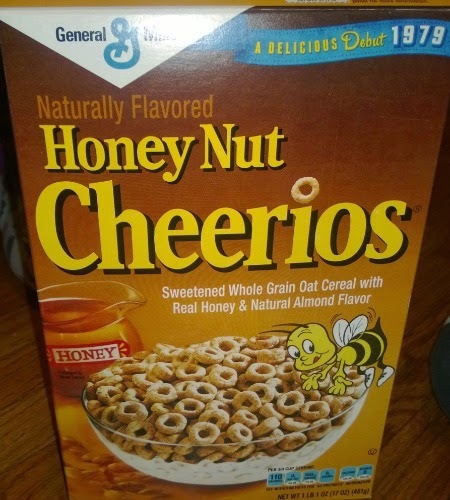 My favorite cereal is Honey Nut Cheerios. I liked them as a kid and still enjoy it. I can even enjoy them as a night time snack. My son likes them as a snack for school. If you have toddlers, then these make great snacks for little fingers to pick up. So my one pet peeve about Lucky Charms is that the kids just want to eat the marshmallows. I like those little marshmallows too but let's not waste the rest of the cereal. 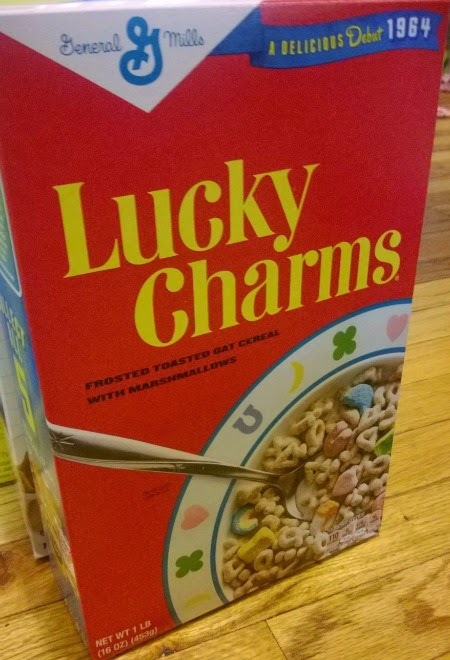 Lucky Charms is a fun cereal to make into treat bars. 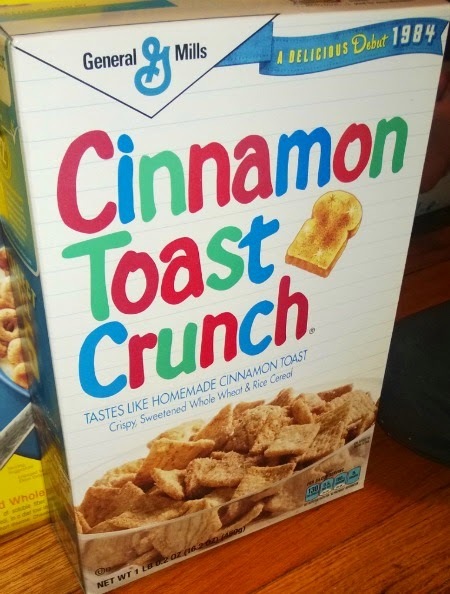 Cinnamon Toast Crunch is so good. I can seriously just sit there and eat it straight from the box. I love cinnamon and sugar combined together. My son's favorite would be the Reese's Puffs. He also mentioned he liked the newer version of the box better. It is fun to compare the two boxes. He said the puffs looked to large in the debut version. I think of this cereal as dessert cereal. -You can eat it for breakfast, lunch, dinner, or snack. -You can take it on the go for an easy snack. -make them into dessert bars or treats. -send these boxes to a college student, they will be appreciative. 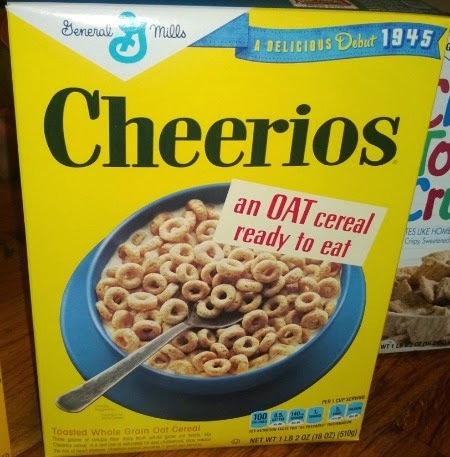 Do you have a favorite cereal? Out of these five what would your favorite be?